I could pretend I’m not old enough to remember Loran-A or tuning in the beeps of those eerie radio direction finder bearings. 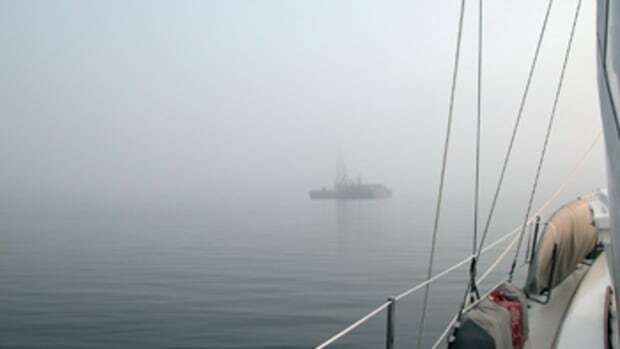 I might even deny the effective old navigator’s trick of shutting down the engine to listen for buoys in the fog. 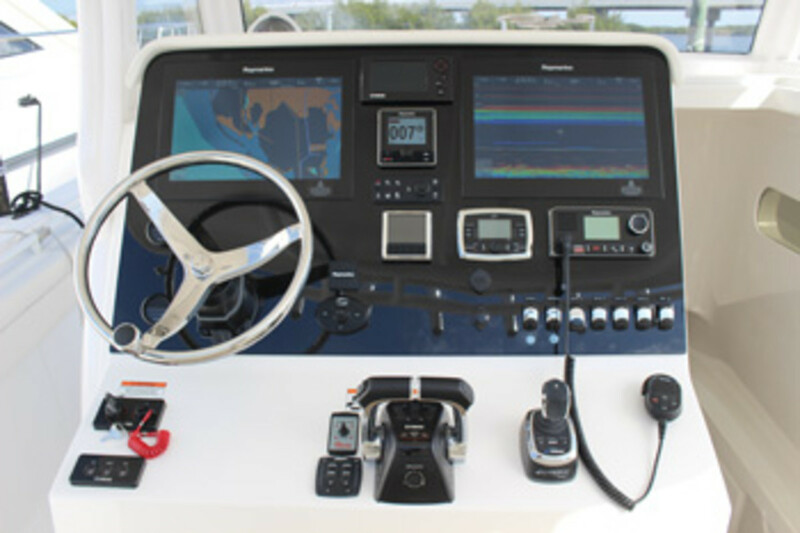 Today the market overflows with sophisticated navigational equipment, and most boaters swear by their trusted suite. (I do.) You can have a redundant GPS/chart plotter, radar and a backup battery-powered GPS — maybe even a chart plotter app on your smartphone. Call me old-fashioned, but occasionally I want to feel self-reliant without this gadgetry, not because of it. That’s when I resort to a few applied math exercises free from the black boxes. What’s needed? 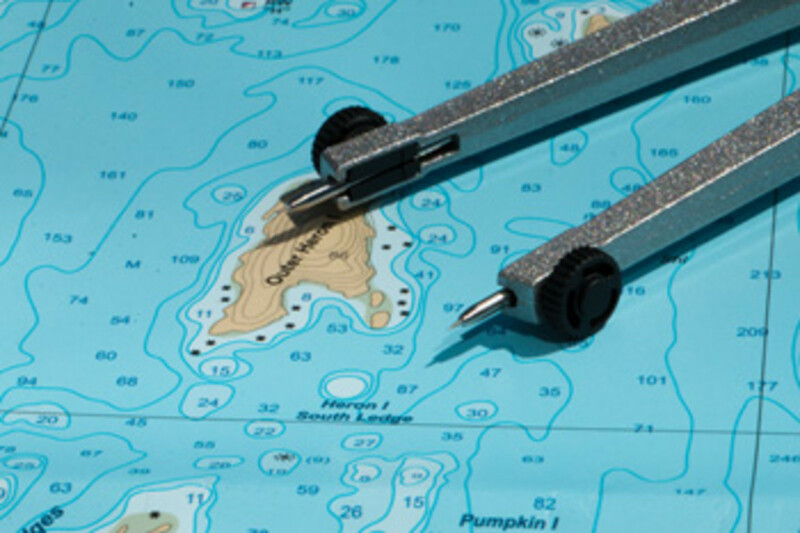 Up-to-date paper charts, a set of distance-measuring dividers and a plotting instrument, along with a reliable depth sounder and a properly adjusted compass. 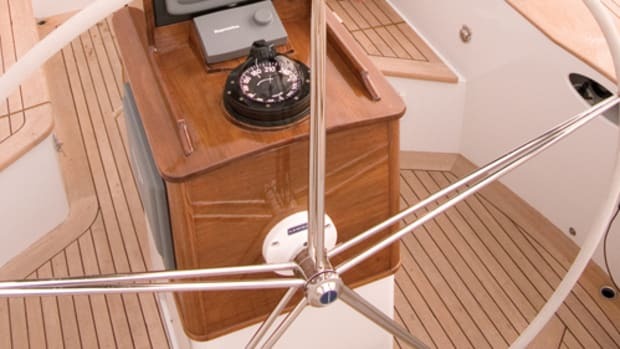 You’ll also need a sense of your boat’s average speed, which you can develop by checking rpm and wake characteristics against your chart plotter, making a game of the question, “How fast do you think we’re going now?” The most valuable tools are the navigator’s pursuit of accuracy and curiosity and the willingness to double-check. 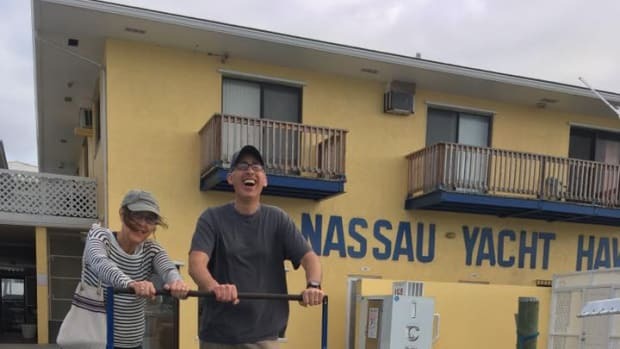 In simple terms, piloting without a plotter — dead reckoning — means confirming where you think you are, then leapfrogging to the next point and repeating. 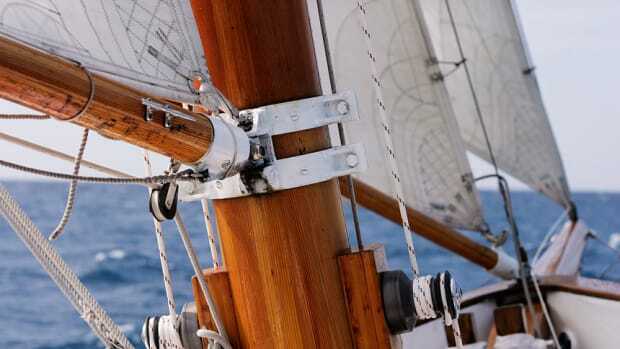 To start, mark your departure time and location at a fixed point — for example, a navigation aid or inlet. Know the expected set and drift of the current. From there, estimate the course to reach your next waypoint. A true course is uncorrected for the vagaries of the Earth’s magnetic variation, straight off the chart’s true compass rose. A magnetic course is corrected for magnetic variation and also is shown on most roses. 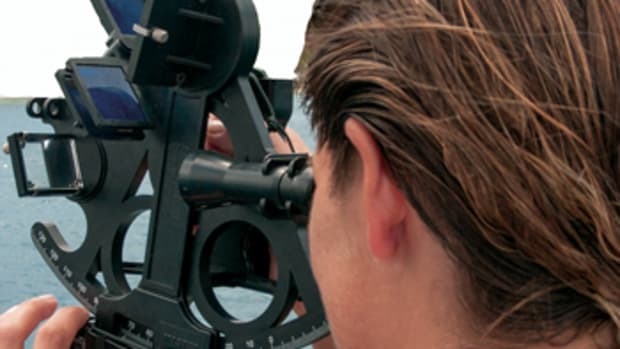 A compass course is corrected for variation and the boat’s individual compass error, known as deviation. 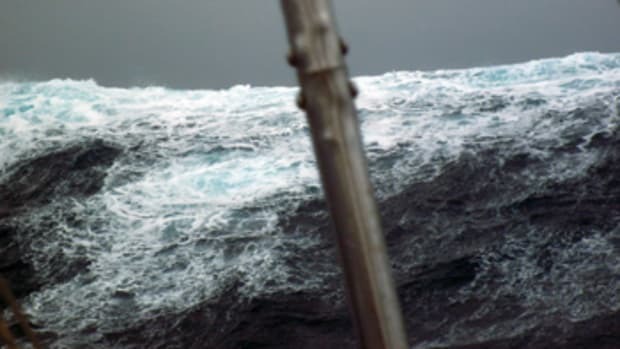 This is the course by which the helmsman steers. A basic formula determines the length of time it takes to travel from one known point to another. Distance equals speed multiplied by time. Distance is measured between charted points, then applied to the latitude scale. 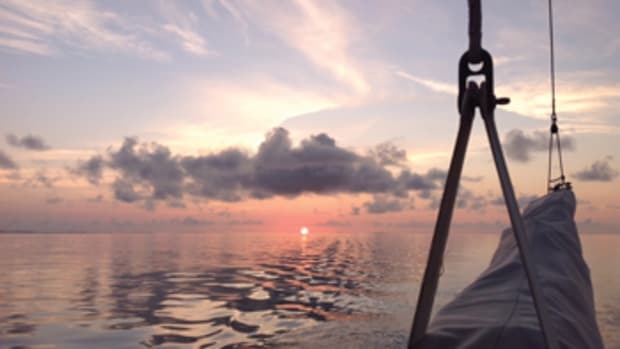 One minute of latitude equals 1 nautical mile. Speed is nautical miles per hour traveled. To confirm your “reckoning,” or performance against what you expected, you can use visual and audible aids, significant bottom contour changes and other means. Then set up the next leg and leapfrog from one confirmed point to the next. 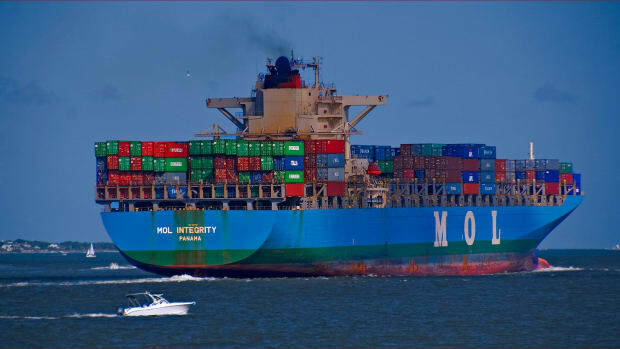 Technology is in constant motion, but we are no different from the seamen who preceded us. We still watch for seagulls standing on the water or waves breaking where they shouldn’t. We still value accuracy, curiosity and the willingness to double-check all means to ensure we arrive safely and in time for dinner.